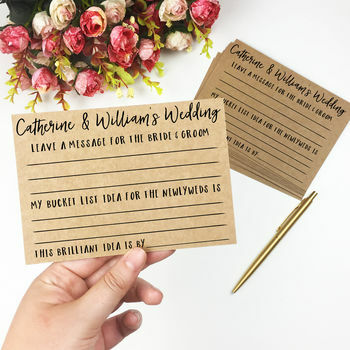 Personalised A6 kraft note cards for wedding guests to leave bucket list ideas for the newlyweds. A great way to collect memories from the day! Each A6 card features a title, a space for guests to leave a message and their must do bucket list idea for the married couple. 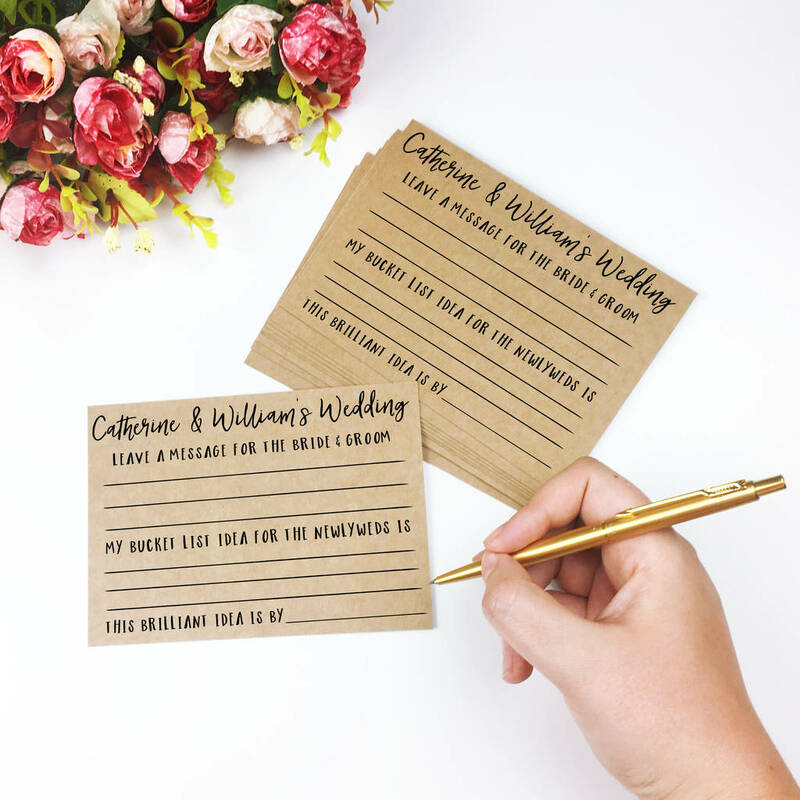 Use as part of your favours, wedding game or activity, unique table decor or even as part of your guestbook. Simply personalise with a title e.g. Catherine & William's Wedding or The Jackson Wedding and your own wording for each section of the card. 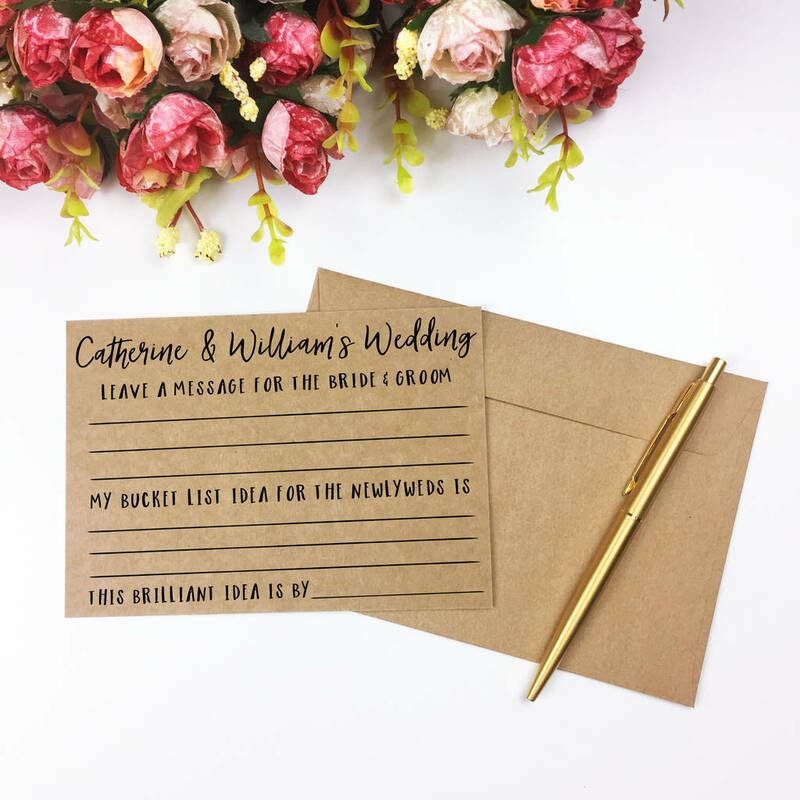 There is then space for guests to write and leave their name. Please note we may need to resize the text and any other design elements. These A6 cards are sold in packs of 8 (adding quantity of 1 to your shopping basket is equal to 8 cards). 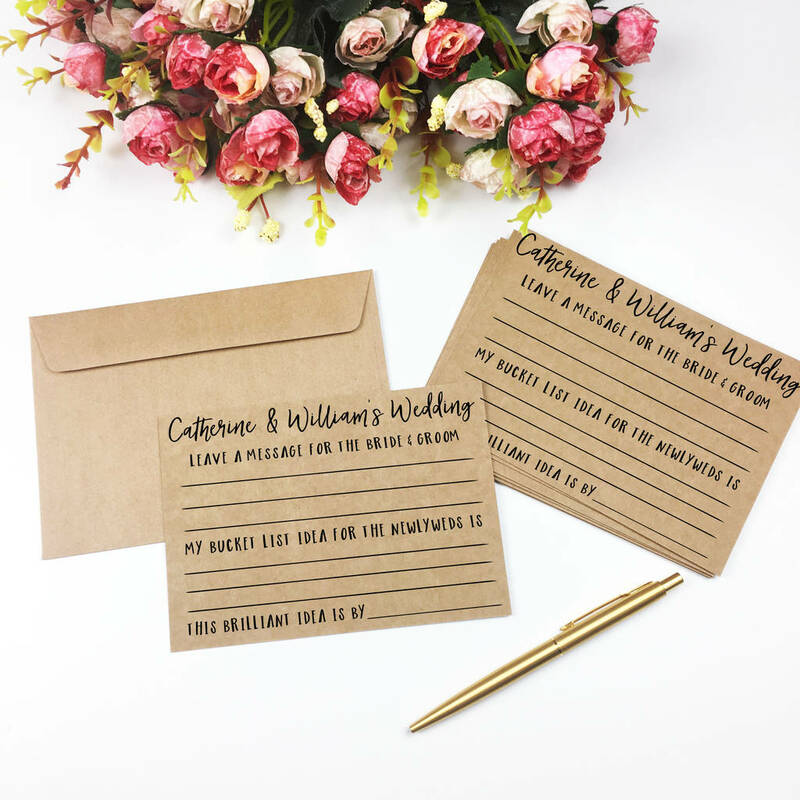 You also have the option to add matching A6 Kraft envelopes to your order. Please note if you select 'yes' to receiving a proof of the design, you will be sent an image of the design via the notonthehighstreet messaging system (please check your emails for this notification) and we will not print your order until we receive confirmation from you that you are happy with the design. Delays may occur if we do not receive prompt confirmation from you on how to proceed with your order. 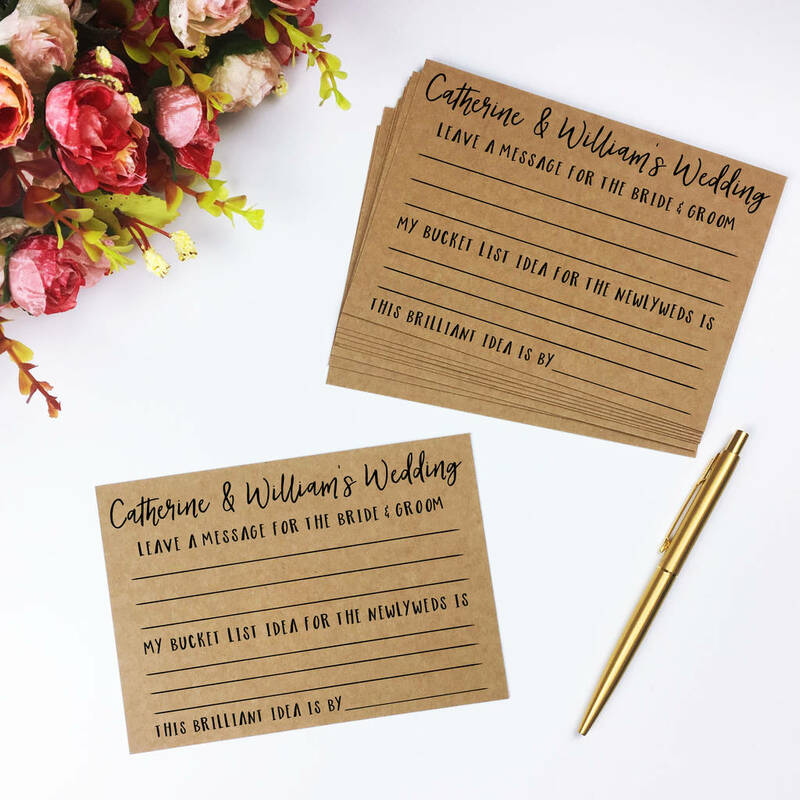 As this is a personalised item, it can take between 3-5 working days for us to design, print and dispatch your order before being posted by Royal Mail 1st Class (approx. 1-2 working days for delivery). Please contact us in advance if you require a particular date for your item.